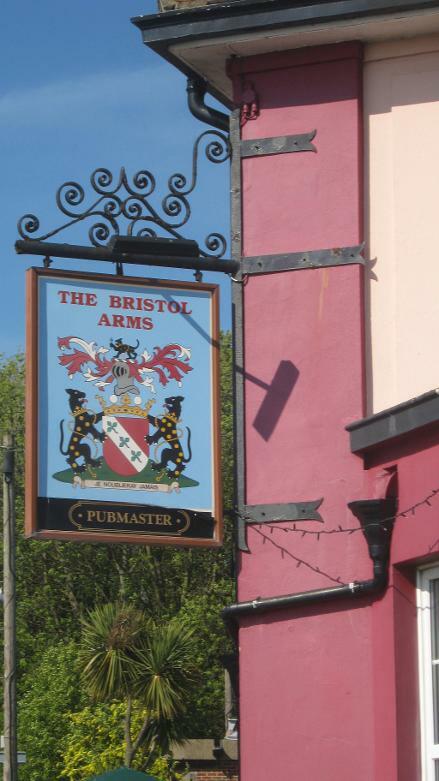 The Bristol Arms welcomes well-behaved pets with their owners. 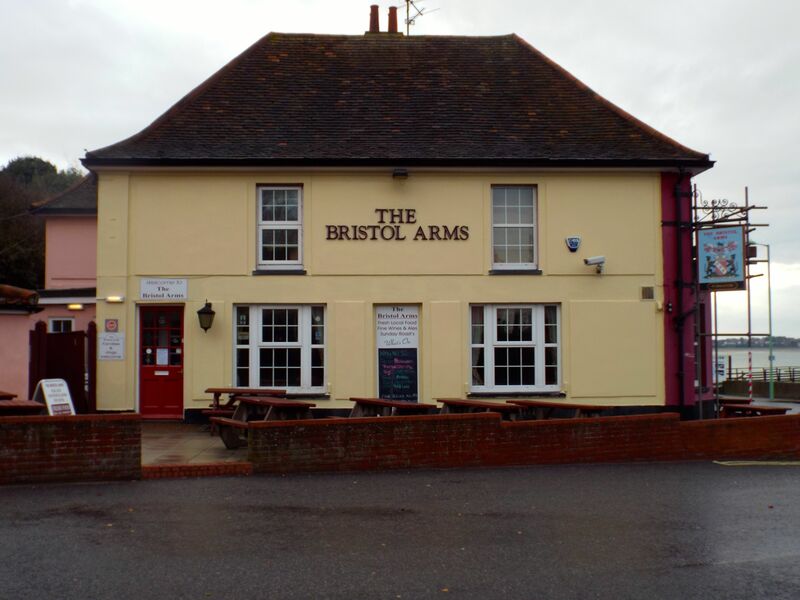 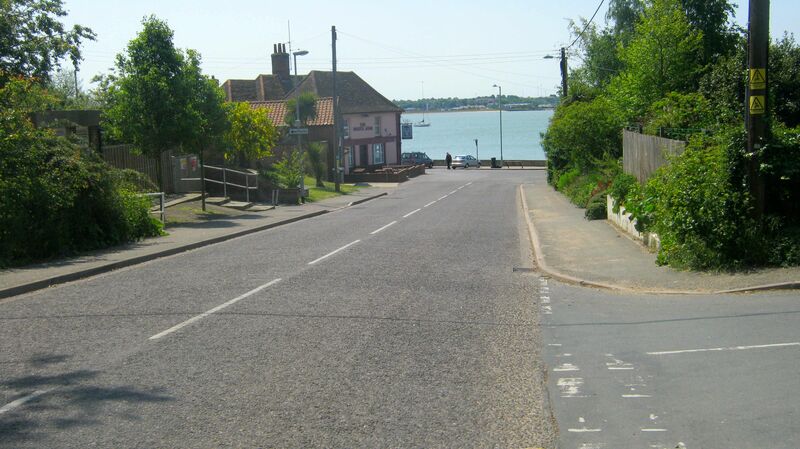 Named after the Marquis of Bristol, who owned the land and foreshore of Shotley Gate, there has been a Bristol Arms overlooking the River Stour since the mid-1800s serving the locals and sailors. 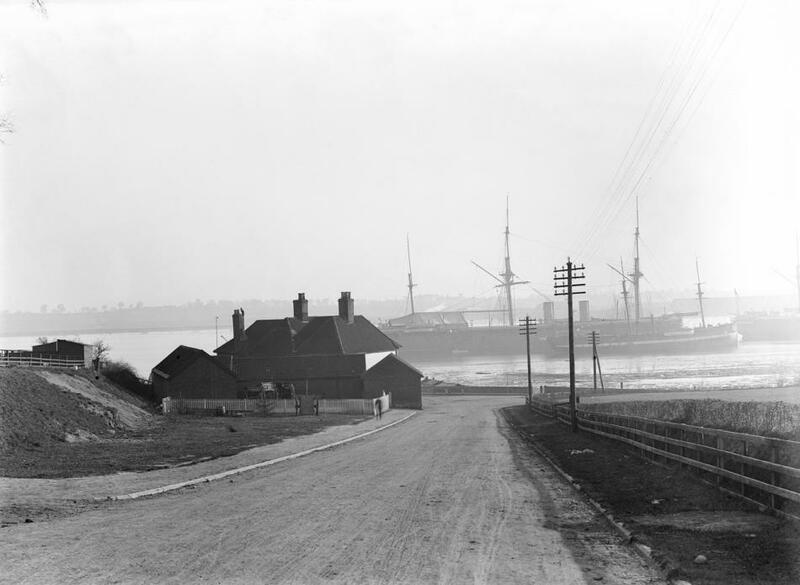 The picture below shows the Bristol Arms at the bottom of Bristol Hill, with HMS Ganges in the background, circa 1900.